Our planet today is paradise, a real Garden of Eden where more than nine million species live in (almost) complete harmony. But it wasn’t always like this. Life on Earth has gone through five major extinctions, some of them way too close for comfort. Even earlier, in the first half of our planets 4.5-billion-year-old history, the seeds of life went through great strain before they could sprout. Experiments abounded as the first life-resembling cells saw the dim light of day on a planet that was still shrouded in a thick haze, with less than one-thousandth of one percent of today’s oxygen levels. Ancient life did not require oxygen, however, the reactive gas absent from the atmosphere. Here and there, surprisingly constant in time, anaerobic life is still at home on planet Earth. You have a couple of anaerobic bacteria in your gut and the world’s first organisms, cells which resembled prokaryotes, used carbon dioxide as a carbon source and oxidized inorganic materials to extract energy. Other creatures — like those whose fossils were recently discovered by University of Cincinnati researchers in two separate locations in the Northern Cape Province of South Africa — ‘ate’ sulfur. UC Professor Andrew Czaja indicates the layer of rock from which fossil bacteria were collected on a 2014 field excursion. Credit: Aaron Satkoski. The 2.52 billion-year-old bacteria have been described as ‘exceptionally large’, or much larger than today’s bacteria. They used to be spherical-shaped, lined with smooth-walled microscopic structures — not too different from modern, but rare single-celled organisms that live in sulfur-rich waters at the bottom of the ocean. As you might imagine, finding rocks — let alone fossils — from the Neoarchean Eon is exceptionally rare. Moreover, these seem to surface only in a handful of areas around the world, such as this region of South Africa and another in Western Australia. There’s a connection between the two areas, although they’re now separated by thousands of miles of ocean. Billions of years ago, South African and Australia were part of the same supercontinent called Vaalbara before tectonic motion separated the great landmasses. 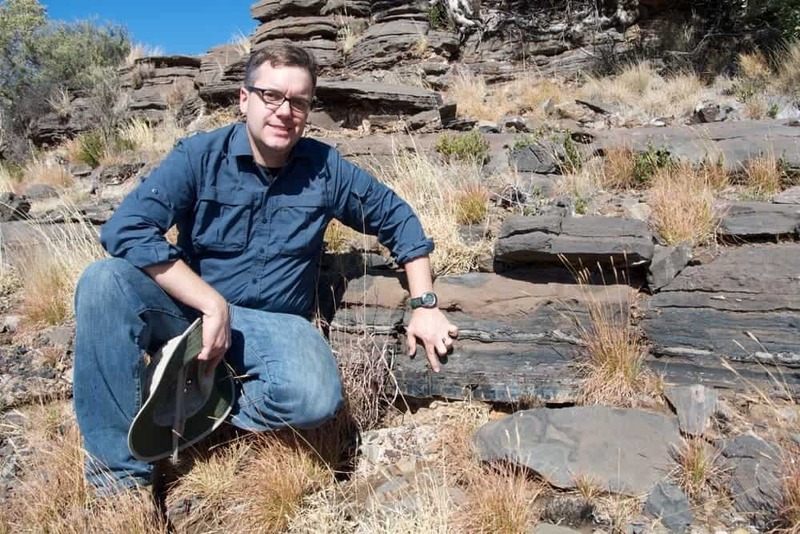 Radiocarbon dating suggests the new bacterial fossils lived in Vaalbara. The organisms, along with other shallow-water ancient bacteria, would eventually turn the atmosphere into an oxygen-rich air, releasing the molecule as a byproduct of photosynthesis. Perhaps not long after these particular specimens became fossilized, the Great Oxidation Event took place. 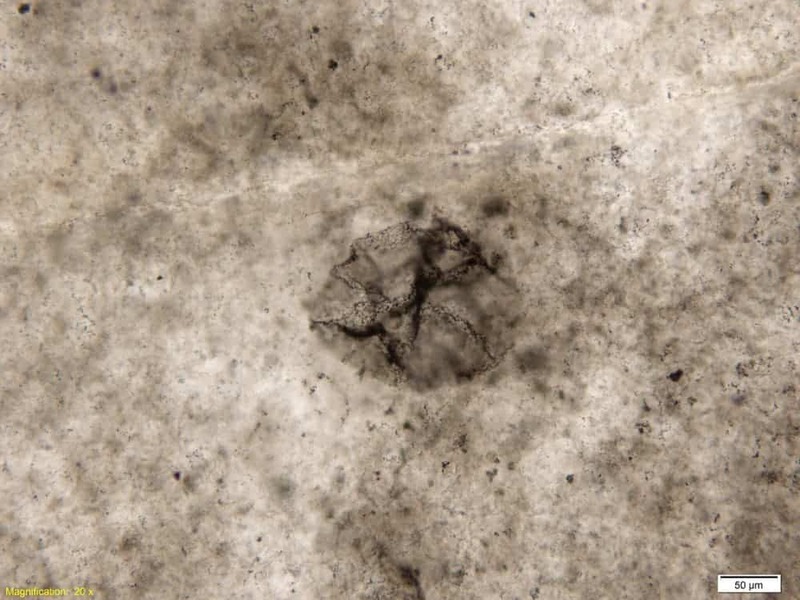 Czaja says these Neoarchean bacteria lived in the wet mud and in great numbers. For breakfast, lunch, and dinner, the bacteria likely ingested volcanic hydrogen sulfide (the odor of rotten eggs) and produced sulfate, an odorless gas, as a byproduct. This is the same process which modern bacteria employ when they decompose organic matter into minerals and gasses, proving recycling is as old as life itself.